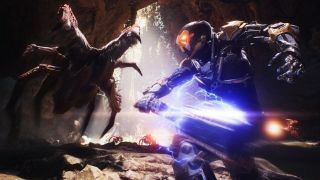 Anthem may have had a rocky launch plagued with performance issues and bugs, but it hasn't stopped the online multiplayer shooter from being one of BioWare's biggest launches to date. According to industry-tracking firm The NPD Group (via VentureBeat), Anthem was the best-selling game of February 2019, and resulted in BioWare's second-biggest launch month to date - and that data doesn't include those who are playing via EA's Origin Access Premier. More Anthem in the future? So which BioWare title beat Anthem to first place? That would be Mass Effect 3, the beloved third addition to the Mass effect sci-fi RPG series. And while Anthem is a controversial divergence from the usual BioWare narrative-heavy formula we've seen with the likes of Dragon Age and Mass Effect, a successful launch means we'll probably be seeing more additions to the Anthem series in the future. However, don't be expecting a new Anthem any time soon. It's still early days, and BioWare isn't even close to exhausting its post-launch content. In addition, the studio is currently focusing on ironing out the performance and gameplay issues the online multiplayer is experiencing. If you're wanting to know what Anthem's roadmap currently looks like, BioWare has revealed the scheduled updates planned up until May 2019. Anthem is available now on Xbox One, PS4 and PC.